Developers will be able to write and publish code directly from their Chromebooks. 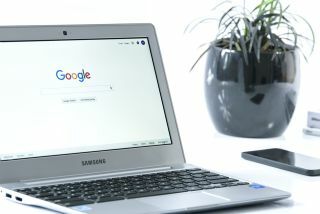 Google's Chromebooks will soon be able to run Linux apps and execute Linux commands following the company's recent announcement that Linux support is coming to Chrome OS. The company's flagship Chromebook, the Pixelbook will be the first Chrome OS device to officially support Linux with support for other devices coming soon. Developers will now be able to write code on Chromebooks using Linux and they will also be able to use Android Studio for Chrome OS to write, test and deploy Android apps all from one device. Until now, developers would have to rely on systems running either Windows, Mac or Linux to create code and software to run on Google's platforms. Linux app support will be made available as a preview first, though this will initially only be on the Pixelbook and users that wish to try it out will have to switch to the Dev channel to do so. Eventually Google plans to bring this feature to all Chromebooks but users will have to enable it as it will not be turned on by default.